You may have heard of The Famous Grouse whisky, but its unconventional sibling is what you ought to pay attention to right now. 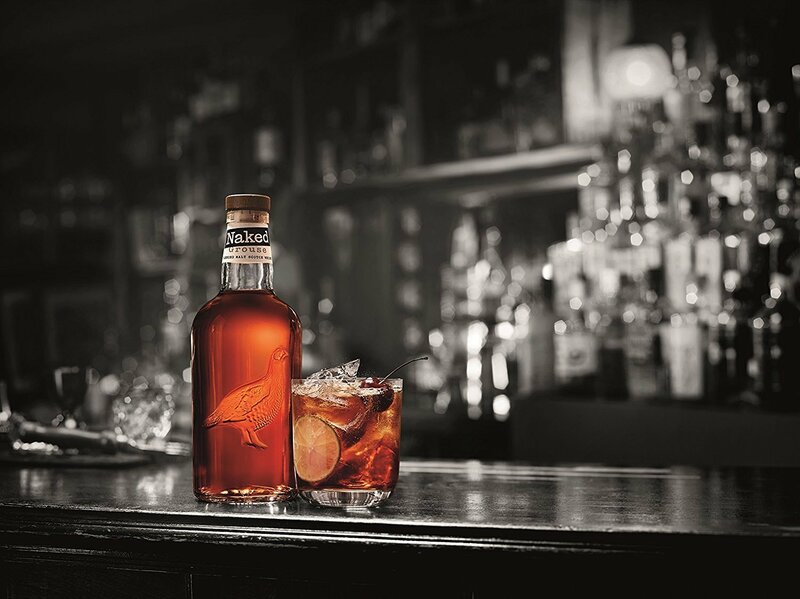 Naked Grouse, a blended malt Scotch whisky, has entered the market in a way that flouts all the rules you’ve ever known about the craft behind the spirit. The end product is surprising, and positively so. Let’s not pretend that blended malts don’t get a bum reputation amongst dedicated whisky drinker. But, even if you have that preconceived notion, Naked Grouse manages to shatter it thanks to its boisterous profile (there really is little other way to describe it). This whisky is comprised of single malts from various distilleries in the Edrington portfolio: The Macallan, Highland Park and The Glenrothes. The concoction is then matured in first fill sherry casks, adding depth and an oaken sweetness to the liquor. To spread the good word about Naked Grouse, a transnational exchange was held between Singapore and Sweden. Titled The Libarating Bar Swap, two bartenders from Stockholm were brought over to Singapore. Niklas Forslin and Andreas Bergman usually shake things up at Tjoget (which ranked 44 on the World’s Best Bars list this year), but were tasked to takeover local hotspots, Kilo Lounge and Manhattan Bar, across two nights. Isac Melander, a brand ambassador for the whisky, joined the duo, and all came together to invent a number of unique cocktails inspired by Singaporean flavours. With Naked Grouse as the base, of course. Aside from all the hard work satisfying parched customers, the trio explored Singapore throughout their stay, and found themselves inspired by our diverse local culture. Watch the highlights of the Libarating Bar Swap in the video above.